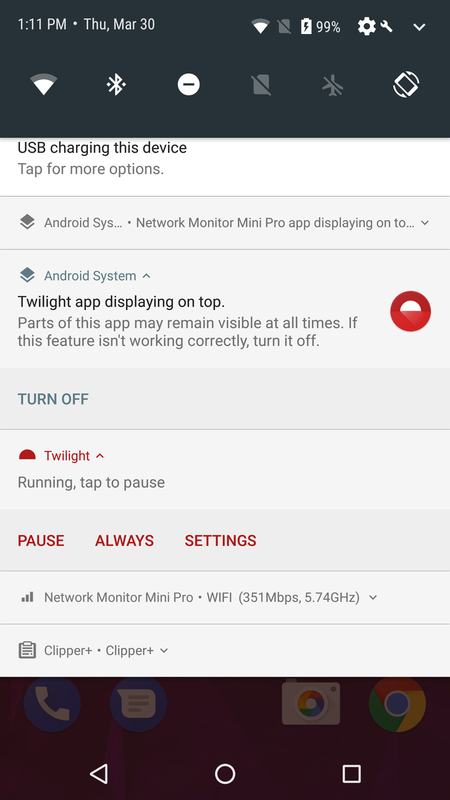 Whenever you start an app with an active screen overlay, Android O generates a notification that tells you "[App] displaying on top." 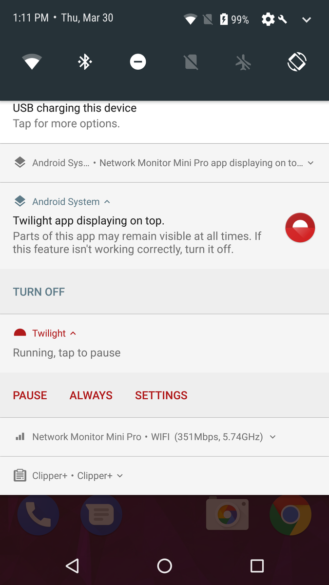 This notification is collapsed into a single line, but you can expand it for more detail. There's also a button to turn it off. Tap that, and the overlay goes away. 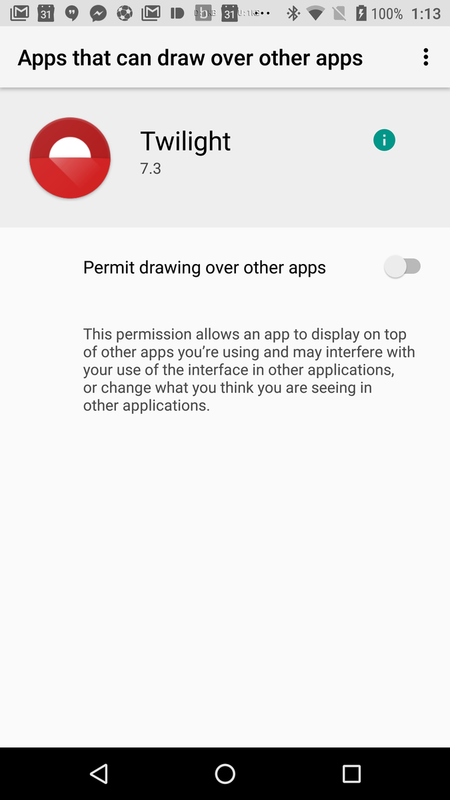 This button actually disables the "draw over other apps" permission, which all apps are granted by default. You can turn it back on later if you want. 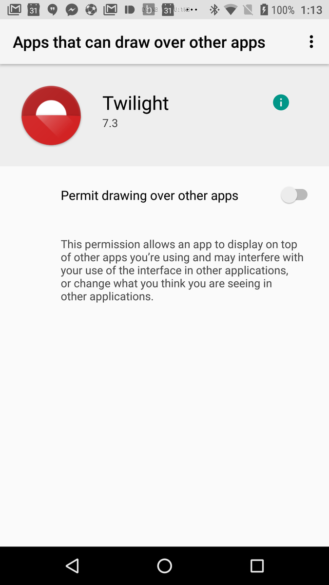 This is a good security feature as it's possible for apps to fool you with overlays. They could hijack your presses or display fake buttons, or they might just prevent you from using the device correctly. 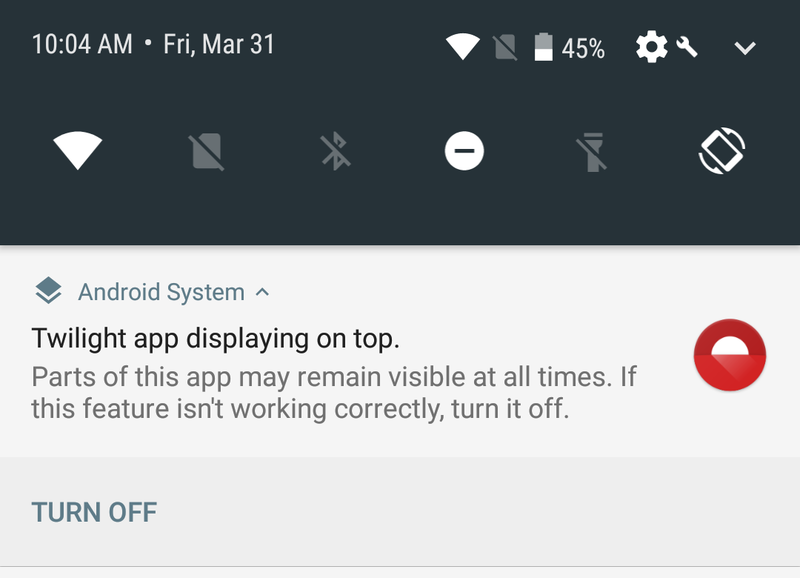 One caveat here—the overlay notification can't be dismissed. 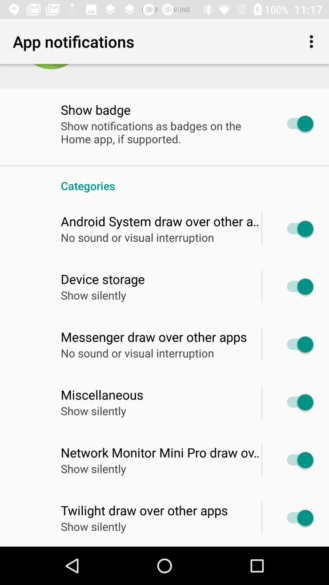 It's produced by the Android system, so blocking it isn't a good idea. You'll have to put up with this extra line whenever you are using an overlay app. 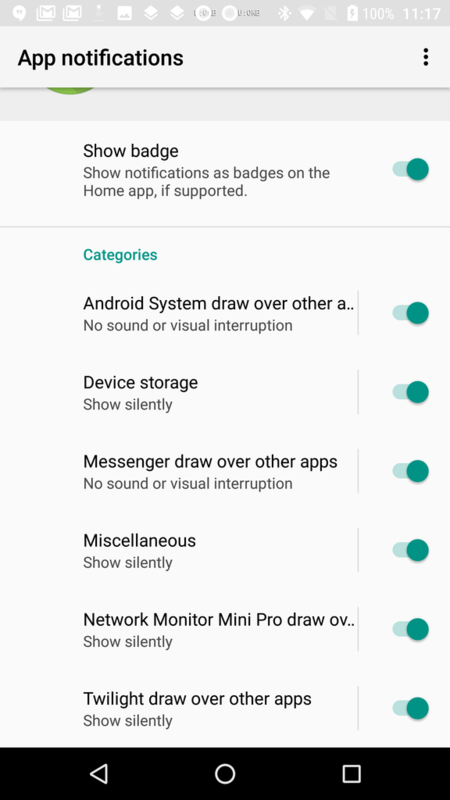 Android O Dev Preview 2 disabled the ability to toggle the categories in Android System's notification channels. We hope that it's a bug and not a deliberate lockdown, but it's possible that they decided to disable tweaking the system app's channels for security reasons.